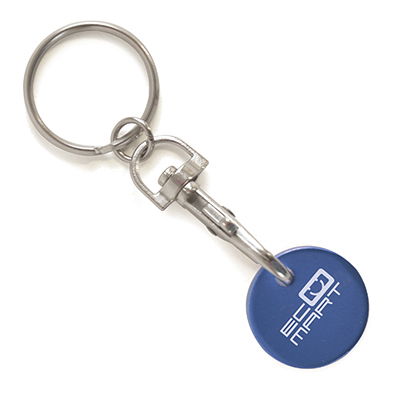 Description: Round metal trolley coin keyring with detachable carabiner clip and split ring attachment. Additional Information Price includes engraving to 1 position only. Set up and carriage are additional.